System of linear equations means a set or collection of linear equations, that we deal with all together at once. 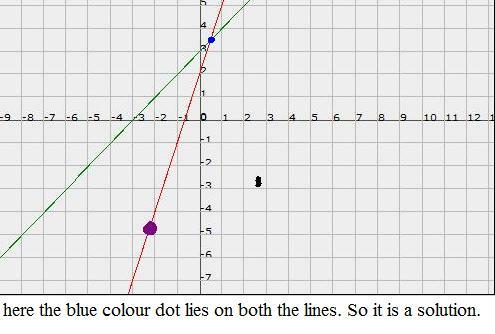 As we know dealing with linear equations is more simpler than dealing with non linear equations. Solution: To check the possible solutions, let us plug in the x and y value in the given equations. 3=-13, which is not equal. 3=2, which is not equal. 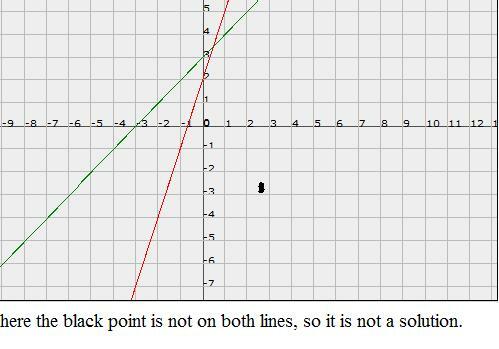 If the point (4,-2) lies on the line 5x + 2y +k = 0.Find the value of k.
Solution: Here the given point (4,-2) lies on the given line.To solve this problem we have to apply the given points in the equation as the value of x and y. By using the concept system of linear equations,we can solve many problems which we have in our daily life. Example: When I went shopping, I paid $21 for 5 pens and 3 pencils, i paid $24 for 4 pens and 6 pencils.What is the cost of each pen and pencil? In our daily life, We have many problems like the above example. 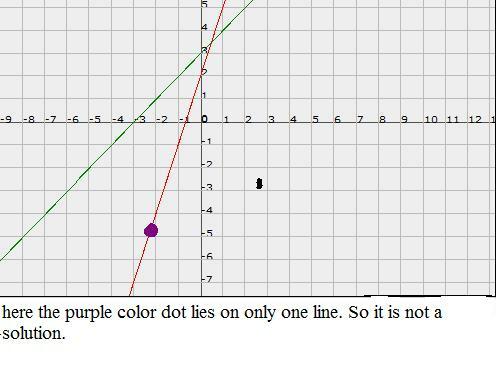 To solve this kind of real problems, we have to use system with linear equations.When this kind of question is had by the students in exam or in their homework, they may find it difficult to do and find the solution.if they apply concept of linear equations here, easily they can solve the problems and get solutions.